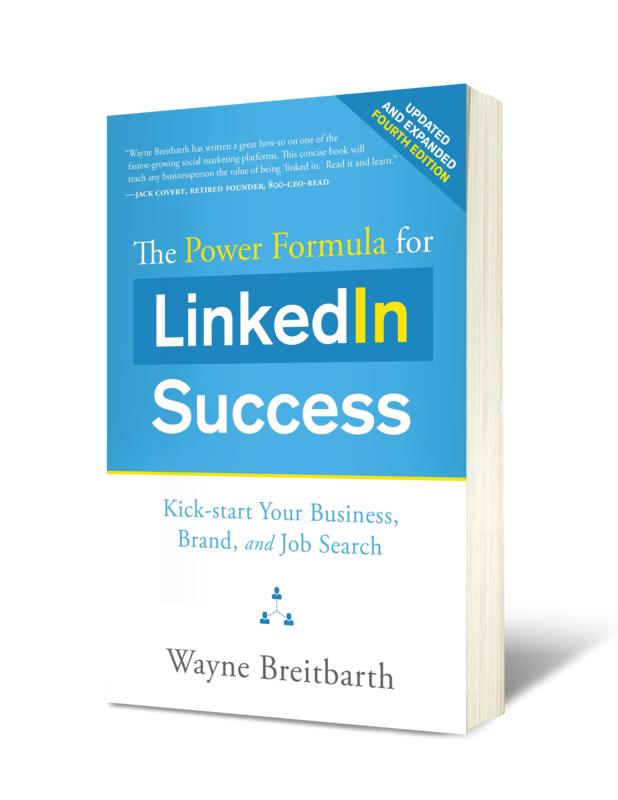 « Do You Know All of the Most Important LinkedIn Character Limits? 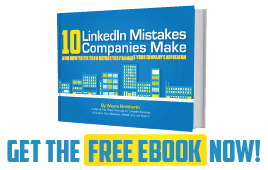 What Are You Missing by NOT Paying for LinkedIn? "Is it worth it to start paying for a premium LinkedIn account?" I can always count on hearing this question during the Q&A portion of my LinkedIn presentations. My latest LinkedIn user survey showed 20 percent of respondents have upgraded to one of the paid LinkedIn accounts—up from 15 percent a few years ago. More people are discovering specific features that work well for them, and they upgrade because they want more of those goodies. After five years of using a free account, I personally upgraded to a paid account in 2013.
Who typically should upgrade to a paid LinkedIn account? If you are regularly seeing the screen that suggests you should upgrade, you are probably using a LinkedIn feature that is working for you, and you may want to consider upgrading to one of the paid accounts. For example, if you like to send InMails, prefer to do an unlimited number of searches or would like to have more saved search alerts, you may want to upgrade your LinkedIn account. In general, I do not recommend moving to a paid account unless you fall into one of the four categories listed above. However, in order to encourage more of us to pay for LinkedIn on a monthly basis, there will undoubtedly be more and more valuable new features available exclusively to premium members. More saved search alerts. The free account includes three saved searches. Many power users (including me) find this feature to be extremely valuable and well worth the money. Longer list of search results. You get up to 100 results on the free account, but a longer list could mean more leads and thus more income. Who’s Viewed Your Profile? With a free account, you can only see the last five people who have scoped you out. An upgraded account lets you see everyone who’s looked at your profile (unless they’ve blocked their name) in the last 90 days. This is one of the main reasons I finally broke down and upgraded my account. Additional advanced search filters. I especially like being able to filter by company size. InMails. An InMail is a direct message you can send to people who are not part of your first-level network. The number of InMails you are allotted per month varies based on the type of premium account you purchase, but you can purchase additional InMails for $10 each. However, before buying an InMail, be sure to check if you are in a group with your target, because common group membership enables you to send a free message. Also, if the recipient of your InMail replies within seven days, LinkedIn gives you a $10 credit. The cost of InMails may seem a little steep, but many people find the extra income that results from response to their InMails actually covers the cost of their upgraded account. Only you can determine whether a premium account will be worth your investment. Personally, I’m currently on the Sales Navigator Professional version, and I’m happy I upgraded my account because I’ve gotten quite a bit of new business by contacting people who have viewed my profile and sending InMails to people outside my network. But if you choose to upgrade and later decide you’re not getting as much value as you’d like from your premium account, it’s easy to cancel your subscription and return to a free account. However, please note that if you pay for your subscription annually (rather than monthly) to save money and you want to return to a free account or move to a different premium level, LinkedIn will not refund your money. 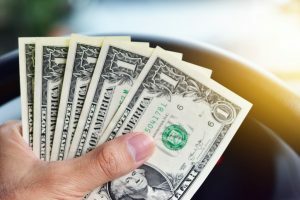 If you'd like to learn more about the very best Sales Navigator features, check out my article "Is LinkedIn Sales Navigator Worth the Money?" So, as you can see, the answer to whether it is worth the money to start paying for LinkedIn is yes, no or maybe. For me, it's definitely worth it, because I do a lot of searches for prospecting purposes. If you'd like a personal tour and evaluation of Sales Navigator, sign up here for one of my specially priced $197 one-on-one, one-hour LinkedIn consultations. I will share my computer screen with you during the call and send you a critiqued copy of your profile prior to the call.